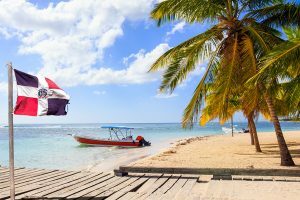 Red Dominicana – Information and Tips to the DR.
Have you ever considered going to a beautiful tropical country where you can fully relax and enjoy beautiful sights? If the answer is yes, then one of the greatest choices you can make is visiting Dominican Republic. Situated on the Hispaniola Island, Dominican Republic is great place to visit any time of the year. The climate is moderately tropical with seasonal rainfalls, but most of the time you can expect nice weather, ideal for exploring the country. Dominican Republic is surrounded by picturesque mountains and attractive plains, which give this country even bigger appeal. Santo Domingo is the capital city and usually the first place visitors see. Holiday makers are visiting this city all the time and there are many beautiful things to see and places to go in the capital. 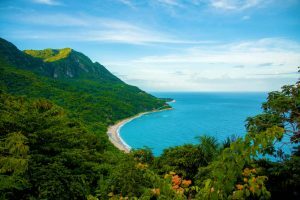 Dominican Republic is well connected with other Caribbean islands in the region so getting to the country is very easy. Entry visa is free for most travelers and upon arrival you should get a tourist card with all the necessary information regarding places to visit in the Dominican Republic. Besides reaching the country by an airplane, you can visit Dominican Republic through other means of transport as well, like cruises and boats that come from nearby Caribbean islands. People of Dominican Republic are very friendly and eager to help every traveler. Spanish language is official in the country, but most people understand and speak English as well. You can find good accommodation almost everywhere throughout the island, so just ask some of the local people or travel agencies to help you. No matter where you go, you are guaranteed to have a memorable travel experience in Dominican Republic. Some very popular places for enjoying beautiful tropical holiday include Sosua and Puerto Plata, both located on the north side of the island. The emerald Atlantic Ocean is wonderful, so you can lay back, enjoy the sun and relax. On the eastern shoreline you will find Punta Cana, which is another fantastic tourist spot to see. On the south part of the Dominican Republic is the nice blue Caribbean Sea, where you will find pristine sandy beaches, crystal-clear waters and attractive resorts. Besides enjoying on the beautiful beaches, there are many more other things you can do on the island. People interested in history can visit some nice old cathedrals dating back from the early days when Dominican Republic was found by Columbus. Surfers and scuba divers can enjoy some great surfing and diving locations, and there are also many options for those interested in good dining, shopping and sports. There are many great places just waiting to get discovered, so make your travel plans, pack your bags and visit the beautiful Dominican Republic. Hopefully this information triggered your curiosity for exploration and seeing new things. If you want to have a truly memorable holiday experience, then Dominican Republic is your ultimate destination for exploring and creating memories that will last forever. Latin America is beautiful and very large region that starts up north from Mexico and goes down south to Argentina. This region is full of contrasts, rich culture and history, diversity and unique traditions. Latin American people are known for their hospitality and friendliness. They are also one of the happiest people on the planet, despite all the problems of everyday life. They love to dance and enjoy good music. They also love good cuisines and all countries in Latin America have fantastic landscapes. Up until late 19th century, most countries in Latin America were colonies of European countries of Spain and Portugal. 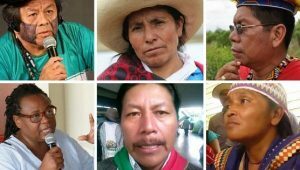 Even today there is big influence from these countries and Latin Americans are proud of their heritage. Europeans have influenced their culture, food and religion, so Latin America is a unique combination of different customs and traditions. Portuguese language is the main language in Brazil, but all other countries in Latin America have Spanish as their native tongue. However, there are many unique accents and words that were created by the local people of the countries. All countries in Latin America have something nice to offer. Argentina and Chile are known for their delicious wines, Brazil and Colombia are known as coffee, sugar and emerald producers, while Venezuela are known for their beautiful women. Football is the sport of choice of all Latin American countries and their people are very passionate fans that love sports. Latin America has so many traditions, influences, great foods and cultural elements, which makes it challenging to explore everything. However, take your time and get familiar with everything Latin America has to offer if you want to feel the region to the fullest. Latin Americans are very religious people and Catholicism is the main religion in all countries of the region. Religion is very important aspect of Latinos life and celebrating holidays in Latin American countries is a unique and unforgettable experience. Latino families are usually consisting of many members and their families include grandparents, uncles, aunts and other cousins. They all like to spend time together and to take care of each other. The family bond is very strong and that is one of the things that make them very special. Latin Americans also enjoy preparing, eating and sharing their food with people. They are very welcoming people that take big pride in the way they prepare and eat their food. Latin American food is known worldwide for its tasty and colorful ingredients. Every Latin American country has their unique dishes worth trying. Mexican food is known worldwide, but all other countries have something special to offer. The best way to explore Latin America is to travel throughout the countries and see all things first-hand. Use apps like Selfie Swiper to find selfies of locals and travelers going around the country. By getting in touch with Latino people you will quickly see how proud and special they are. Keep your mind open, see all the unique things Latin America has to offer and enjoy bonding with Latino people. Dominican Republic has a lot to offer for the foreigners. Growing economy, stable government, low cost of living and beautiful weather are just a few things why the country is so attractive to many investors, expats and retirees who are looking to settle in a tropical paradise. People that want to experience living in a tropical country usually choose Dominican Republic as their first option. The most obvious reason why foreigners choose to move in the Dominican Republic is the reasonable prices and affordable cost of living. There are plenty of housing options and low-cost apartments to buy or rent. 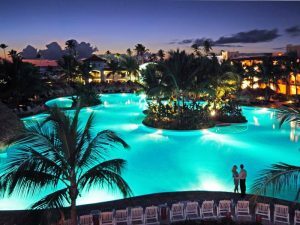 Dominican Republic is ideal for living on a budget, and with a couple of thousand dollars per month you can live a really good life and enjoy numerous entertainment options. This is if you rent but if you invest in buying a property then the cost of living will be much less. You can find some real good bargains in comparison to other countries in the Caribbean. Another reason why foreigners move into the country is that there are numerous amenities designed for the expat community. White sandy beaches, warm crystal-clear water, plenty of sunshine and tropical palm trees can be seen everywhere. The way of life in the Dominican Republic is very relaxed and sophisticated. The colonial architecture is influenced by the European nations, especially the capital of Santo Domingo. Dominican Republic has plenty to offer – from shopping and dining options to museums, cathedrals and sports stadiums. There are plenty of International products and in most towns you will find multicultural communities. What makes Dominican Republic good place for easy living are also the improved infrastructure like roads, airports and new highways. All places are well connected on the island so you can quickly explore everything the country has to offer. 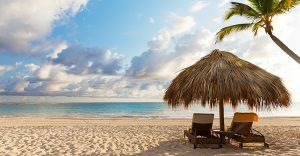 Dominican Republic is attractive for retirees because the government encourages foreigners to choose this country as a place where they will retire with many different benefits and tax breaks. If you show a proof of steady monthly income then you and your closest ones can qualify for getting a provisional residency in less than two months. Besides retirees, Dominican Republic is attractive for different entrepreneurs and investors because of the local tax incentives provided by the government. Foreign investors are welcomed in industrial free zones where they can set up their business and get some tax breaks. Depending on the type of your business, you can qualify for exemption of corporate and income taxes, value added tax, export tax, municipal tax and others. It does not matter whether your business is big or small because anyone can take advantage of the nice tax incentives provided by the Dominican Republic`s government. As you can see, there are many reasons why foreigners come in the country and choose to stay in the Dominican Republic. A tip from locals to foreigners is to us apps like MNF to meet residents. Consider all of the above and choose Dominican Republic as your ideal tropical paradise to live in. 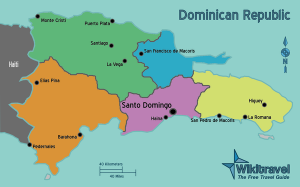 The country of Dominican Republic is situated on the eastern part of the Hispaniola Island. It has a population of ten million people and it is one of the nicest countries in Latin America. Dominican Republic was originally settled by the Arawak people, which are Native American Tainos. The country was first found in 1492 by Christopher Columbus` son Diego on their first voyage. Dominican Republic was first named La Espanola or ‘little Spain’. At the time of its founding, Dominican Republic was inhabited by Native Americans, but Taino population declined rapidly in the following years because of the diseases which were brought to them by the European settlers. Dominican Republic`s capital is called Santo Domingo and it is the first European settlement in the New World, established in 1496. When Dominican Republic became independent in the 1800s, many people feared that they might get invaded by neighboring country of Haiti. In the period between 1861 and 1865 Dominican Republic voluntarily became a Spanish colony, as Spanish would grant them protection from dangers. In the early years of the 20th century, Dominican Republic feared that European countries will try to intervene and occupy them in order to recover their past debts. That is the time when US forced its rule over the country and US President Woodrow Wilson was the first to send its troops to the country in 1916. The American military ruled Dominican Republic for eight years between 1916 and 1924. Due to the unstable conditions in which Dominican Republic found themselves in the early years, there were some chaotic times when the country was ruled by dictators. First dictatorship regime was imposed between 1882 and 1899 when Ulises Heureaux ruled the country. The second period when Dominican Republic was under dictatorship of the army officer Rafael Trujillo was between 1930 and 1961 when Trujillo was violently assassinated. After Trujillo got assassinated, there were some attempts for establishing democracy in the country, most of them unsuccessful. Several coups, a civil war, and American intervention failed to bring democracy, but those were the first steps towards establishing normal rule. Since 1966 presidential elections in Dominican Republic are held every four years and from year 1978 the elections are open to all parties that want to compete to win the elections. In these late decades of 20th century, Dominican Republic was ruled by Joaquin Balaguer – historian and a lawyer. He got elected as president of Dominican Republic in 1966 and retained his position until 1978. In 1978 Antonio Guzman became president until 1982 when he got replaced by Salvador Blanco. A bit surprisingly, the following elections in 1986, 1990 and 1994 were all won by Joaquin Balaguer. After 1994 Dominican Republic entered calmer period of development and improvement in all segments. This was the history of Dominican Republic and developments that led to country become what it is today. The country is constantly going forward and improving and the rich history makes people very proud. Dominican Republic is the place where many famous people were born and raised. They moved away and succeeded in life, but kept their precious Dominican heritage. There are many success stories that come from the country. Not only the following people became famous abroad, but they have also invested a lot of money in their native country and proved they have not forgotten their roots and where they came from. Dominican Republic is country famous for sports, so no wonder why there are so many famous sportspeople that have made it abroad. Baseball is the number one sport in the country and today there are dozens of great baseball players that compete in the US Major League Baseball. Some standout Dominican baseball players that have became famous abroad include former Boston Red Sox pitcher Pedro Martinez who even made it to get elected in the baseball`s Hall of Fame. Not only he left big impact for his team, but he also invested back in his country by rebuilding the Dominican neighborhood called Manoguayabo where many homes, schools and churches were built. 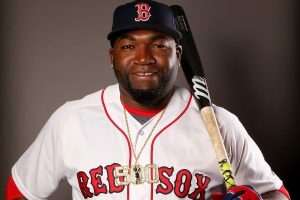 Another fantastic baseball player coming from the Dominican Republic is Boston Red Sox`s David Ortiz, who is an all star player and three-times World Series Champion with his team. He set many records playing for Boston Red Sox, including most home runs within one season with 54 home runs made back in 2006. Probably one of the most famous baseball players of all times and husband of singer Jennifer Lopez, Alex Rodriguez is also proud representative for the Dominican Republic. Besides him, NBA player and member of Atlanta Hawks – Al Horford have mentioned several times in interviews that he is proud growing up in Dominican Republic and becoming what he is today. There are many famous Dominicans abroad and not many people know that these are Dominicans. Famous and one of the most popular Latina actresses in Hollywood, Zoe Saldana, is Dominican. Another famous Latina actress Michelle Rodriguez is half-Dominican and half-Puerto Rican, often mentioning she is proud of her ancestors. The actress from the popular TV show ‘Orange is the New Black’ Dascha Polanco and ‘Devious Maids’ actress Dania Ramirez are both Dominicans, as well as the famous fashion designer Oscar de la Renta and the rappers Juelz Santana and Trina who are both half-Dominicans. These are just a few of the many famous Dominicans abroad. Some Dominicans are still breaking through in different fields, so in the upcoming years we will likely see new faces that will become popular abroad. Dominican Republic is unique in many ways, one of them being that it is a birthplace of some very creative, interesting people. It is a really special country where many famous Dominicans have made their first steps and learn the first things before moving away. Based on the examples above we can conclude that today anything is possible and everyone has a chance to become popular regardless of their background. This article was sponsored by the app Kik Girls, the #1 app to communicate anywhere in the world. Many Dominicans abroad will use this app to avoid paying foreign fees when communication with locals or people back home.